Plot file conversion to DXF, PDF, TIFF, CALS and many other formats. Plot to PDF, PLT to PDF. ViewCompanion can convert your plotter, PLT, CGM, Gerber and DWF files to many different output file formats, including Adobe PDF, Adobe PDF/A, TIFF, CALS, AutoDesk DWF and AutoDesk DXF. Other output formats are available, please see product information pages for a full list (links below). You have full control over the conversion process using scaling, color, resolution and security settings. You can create secure PDF files with password protection and you can control if the viewer of the PDF file can modify, print or copy it. Password protected DWF files are also supported. You can use ViewCompanion to merge separate plot files and create a single multi-page file. The following destination formats are supported for creating multi-page files: PDF, DWF, TIFF and PLT format. All editions include batch mode conversion. An extensible command line interface is available, a description of all parameters is available here. 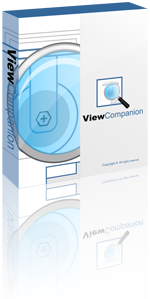 ViewCompanion is available as three different editions: Standard, Pro and Premium. The Pro and Premium editions add markup and support for additional file formats. A fully functional evaluation copy can be downloaded from our web site. The downloaded product will run in evaluation mode for a period of 30 days. You're required to purchase a license, if you want to continue to use the product beyond the 30-days trial period.